(Inside Science) -- Who owns the moon? Who pays damages if a satellite crashes through your roof? Can a country or company mine an asteroid or build a permanent settlement on Mars? If you don't have a space lawyer on speed dial, the first place to start looking for answers to what's legal in the airless and cold regions above Earth is an international treaty signed 50 years ago today. Born in the midst of the Cold War, the "Treaty on Principles Governing the Activities of States in the Exploration and Use of Outer Space, including the Moon and Other Celestial Bodies," or more simply the "Outer Space Treaty," was signed on Jan. 27, 1967 by the United States, Soviet Union and more than 50 other nations, and took effect on Oct. 10 of that same year. The treaty's creation marked a major achievement for international space law and it still guides debates about what activities are allowed in Earth's orbit and beyond. In 17 short articles the treaty lays out a basic set of space dos and don'ts. It states that outer space should be free for exploration and use by all nations for the benefit of all humankind. Countries should avoid harmful contamination of space, and no nation can claim sovereignty over celestial bodies, such as the moon. Those bodies can only be used for peaceful purposes. The treaty bans countries from stationing weapons of mass destruction in outer space, requires assistance and rescue for astronauts, gives countries ownership of objects they launch into space, and holds them liable for damage the objects cause. It also makes governments responsible for the space activities of non-governmental entities like private companies. The general language in the treaty leaves many open questions, and new activities in space, like asteroid mining, may test its meaning further. Still, at the Galloway Symposium on Critical Issues in Space Law, held Dec. 7 in Washington, D.C., Brian J. Egan, legal adviser to the U.S. Department of State, asserted the broad structure gives the treaty flexibility and staying power. "The Treaty is the cornerstone of an international legal framework for outer space that has enabled the exploration and use of space by an increasingly diverse range of actors, serving a growing set of vital needs on Earth," Egan said. "I am confident that as the world grows increasingly reliant upon space . . . the Outer Space Treaty and the fundamental legal principles it embodies will be even more vital in 2067 than they were in 1967." In the years leading up to the Outer Space Treaty, the U.S. and Soviet Union were locked in Cold War competition, working feverishly to improve the technology to transport objects and people beyond our traditional terrestrial haunts. 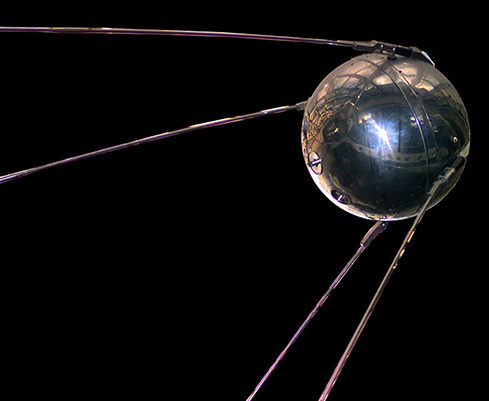 In 1957, the Soviet Union launched Sputnik, the first artificial Earth satellite, whose beeping signal rattled the nerves of Americans as it passed overhead. In April 1961, Soviet cosmonaut Yuri Gagarin became the first person to travel into space, and in May of that year, U.S. president John F. Kennedy responded by announcing the goal of sending an American to the moon and back before the end of the decade. Meanwhile, both countries had been building up their nuclear arsenals. Few wanted space to be a lawless frontier, given the high risk of conflict. “The idea of nuclear weapons in space scared the bejesus out of everyone," said Joanne Gabrynowicz, Editor-in-Chief, Emerita of the Journal of Space Law, who has also worked as a professor of space law at the University of North Dakota and the University of Mississippi. "The world looked over the edge of the abyss and chose a different path." The international community also wanted to avoid the territorial conflicts and ensuing violence that had scarred much of human history, said Ram Jakhu, director of the Institute of Air and Space Law at McGill University in Montreal. In 1959, the United Nations set up a permanent Committee on the Peaceful Uses of Outer Space to foster international cooperation in space. Work from the committee helped lead to the 1963 passage in the U.N. General Assembly of the "Declaration of Legal Principles Governing the Activities of States in the Exploration and Uses of Outer Space," which included many of the main principles later adopted in the Outer Space Treaty. One point of friction was the private sector's access to space. The Soviet Union advocated for limiting space activities to governments, but the United States wanted to protect the interests of its private companies, some of which already had plans for telecommunication satellites. A compromise was reached that would allow non-government use of space, but require governments to make sure all activities comply with international agreements. 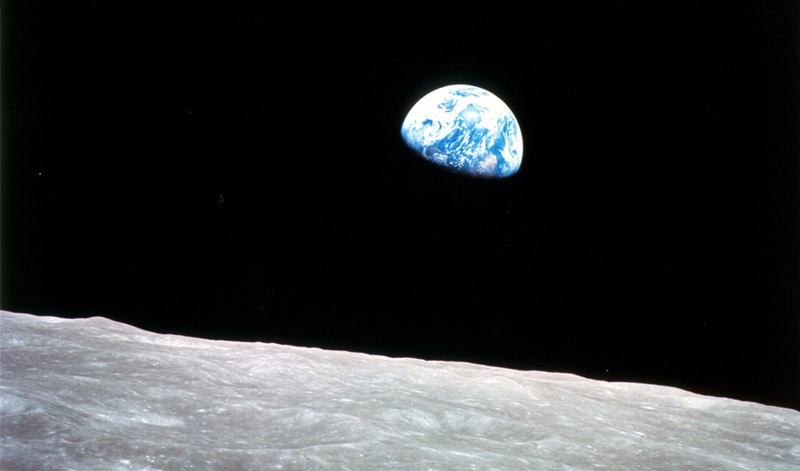 By 1966, countries were growing anxious to complete a legally binding agreement on space exploration. On May 7, U.S. president Lyndon Johnson issued a statement on the need to "insure that explorations of the moon and other celestial bodies will be for peaceful purposes only," and calling for a treaty. Later that year, the U.N. space group's legal subcommittee met twice to hammer out the final treaty language. The agreed upon text was announced on Dec. 8 and opened for signature in London, Moscow, and Washington, D.C. on Jan. 27. As of January 2016, 129 nations have signed or ratified the treaty. Like any law, the space treaty is subject to interpretation. In part to speed up the negotiations and in part to maintain flexibility, the agreement was limited to broad statements without specific regulatory details. 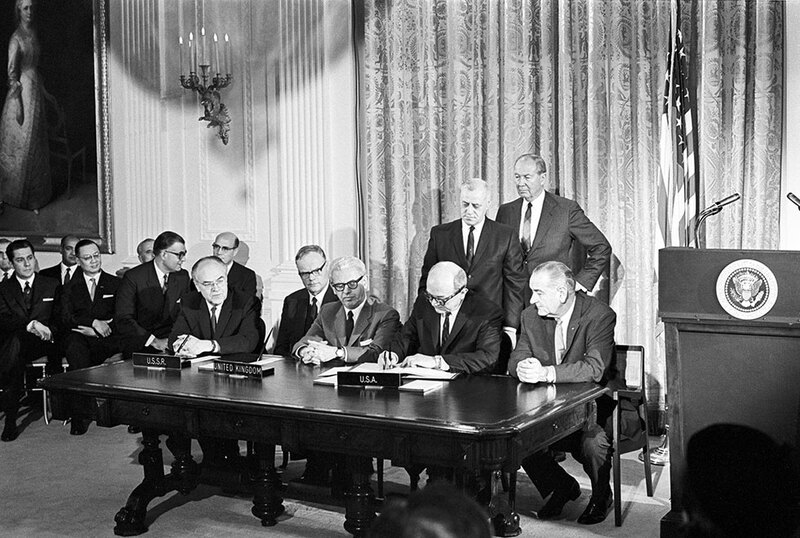 Parts of the treaty, like the articles on aiding astronauts and establishing liability, were refined and expanded upon in later treaties and conventions. "The Outer Space Treaty is analogous to the U.S. Constitution, in that they both use general language to lay out fundamental principles,” Gabrynowicz said. And like the Constitution, the treaty's meaning, as it applies to new laws and activities, is still actively debated. 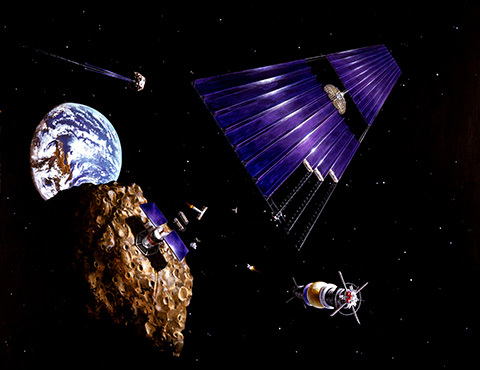 A painting from the 1970s shows a hypothetical asteroid mining mission. Recent commercial ventures have brought new uses for space, such as tourist space flights and asteroid mining, closer to reality, and the language in the Outer Space Treaty has come under renewed scrutiny. In 2015, the U.S. passed the Commercial Space Launch Competitiveness Act. The law allows U.S. citizens to commercially harvest space resources such as minerals and water. The European country of Luxembourg has also announced plans for a legal framework for granting private ownership of minerals extracted from objects like asteroids. Some have argued the U.S. law violates the Outer Space Treaty's ban on claims of sovereignty over celestial bodies. But in his remarks to the Galloway Symposium, Egan defended the government's position that the treaty allows for ownership of resources that have been removed. The issue may be addressed at the upcoming meetings of the U.N. Committee on the Peaceful Uses of Outer Space, which are held regularly so members can discuss new developments. Another pressing new issue is the clean-up of space junk. Hundreds of thousands of objects now orbit the Earth at speeds up to 17,500 miles per hour. At such fast velocities, even small pieces can damage satellites and the International Space Station. In an article for Space Safety Magazine, Michael Listner, an attorney and founder of the firm Space Law and Policy Solutions, points out that the Outer Space Treaty grants ownership of all artificial objects in space to the country that launched them and that defunct satellites and other man-made space debris cannot be removed without consent from the country of origin. The legal landscape will shape how countries address the safety concerns of space debris, he writes. While new technology and changing conditions in space will test interpretations of the Outer Space Treaty, experts noted that its 50-year history leaves a lasting positive impact. "In international relations, sanity does not often prevail, but in this case it did," Jakhu said. "I think our civilization achieved a marvelous thing in 1967 and it must be cherished. It must be maintained and strengthened so that the foundation remains." He notes that weapons in space that could target satellites, as well as the dangers posed by space junk are ongoing concerns that the world needs to address. "I think the treaty's framework of balancing rights and obligations is really what has allowed 50 years of peaceful uses and explorations [of space]," said Chris Johnson, a space law adviser for the Secure World Foundation, a private organization that promotes the peaceful and sustainable uses of space. "All the space sciences that we do, and everything that we learn by using space, the space telescopes and planetary rovers and orbiters -- these are the benefits that we get after having struck this deal."